“Firing Steve Jobs” is an independent documentary about one of the most dramatic and important moments in Steve Jobs’ life: the one in which he was forced to resign from Apple. It is currently in the final days of its Kickstarter phase and you can (and should) back it by choosing one of the many options, from a mere 5 USD pledge to a 5000 USD “Corporate Sponsor” reward. The documentary will focus on former Apple CEO John Sculley, who fired Jobs in 1985 and then led the company until 1993 and angel investor Armas Clifford “Mike” Markkula Jr., the first and arguably most important Apple backer, who helped incorporate Apple in 1977. 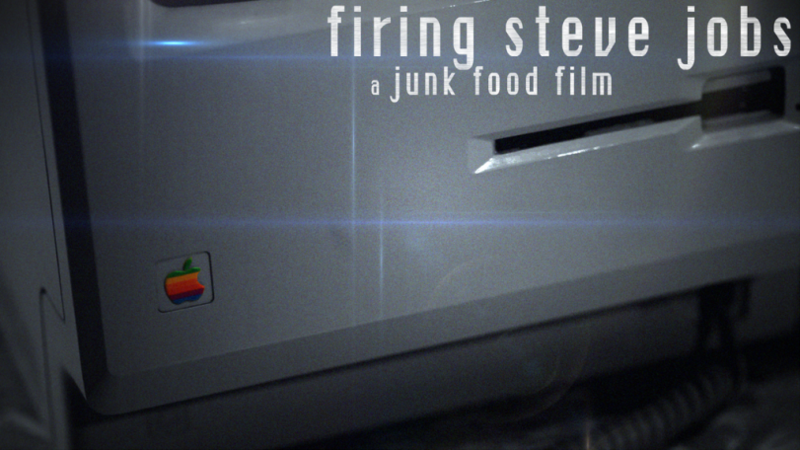 “Firing Steve Jobs” will also feature many Silicon Valley and early Personal Computer era personalities such as Steve Wozniak, Andy Hertzfeld, Larry Tesler, Jay Elliot, Paul Terrel, Chuck Peddle, Alvy Ray Smith and Alan Cooper.